My childhood was filled with pro wrestling from any company I had access to in the mid-1980s. In St. Louis, I could watch the WWF, World Class Championship Wrestling, The AWA, Central States, The UWF and The NWA on the Superstation TBS. 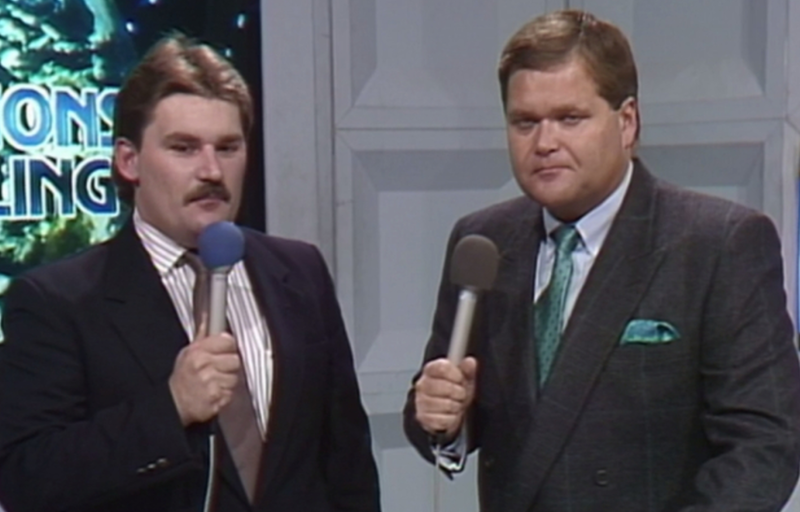 One of the show's constants was Tony Schiavone. His voice greeted fans each week at 6:05 p.m. I came to like his interviewing style and the way he called matches. And who could forget the excitement in his voice telling us "we're out of time!!!" at the end of each show? I was in high school when Schiavone jumped to the WWF. It was one of the most surprising defections at that point in the "war" between Vince McMahon and Jim Crockett Promotions. Schiavone's departure predated that of Ric Flair, Dusty Rhodes and the Road Warriors. It was weird seeing and hearing a JCP guy on my WWF programming. Disclaimer: I am a wrestling fan, but had always preferred WWF over anyone else. Tony as we know eventually went back to WCW where he continued to call the action up until the company's demise in 2001. 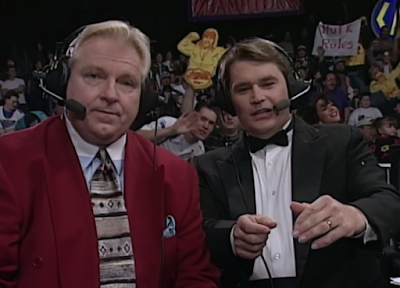 In the years leading up to that, I had grown bitter toward WCW in the Monday Night Wars, watching both Nitro and Raw. 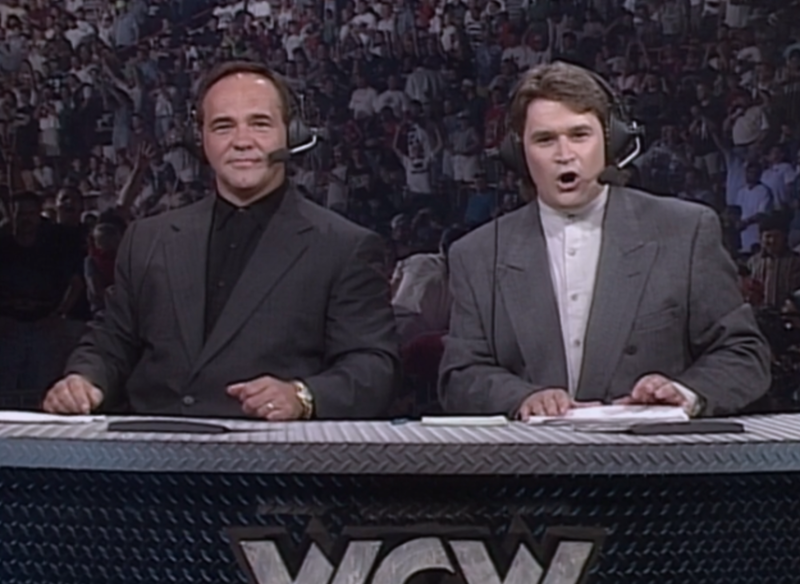 But I had clearly picked a side and was critical of all things WCW, including Schiavone. His infamous "that'll put a lot of butts in the seats" remark about Mankind winning the WWF Championship did it for me. For many years, I had judged Tony's entire body of work based on that one comment. Years later we'd all learn that Tony was fed the line by Eric Bischoff. I listened to the former commentator tell the story to Jim Ross on his podcast a few years ago. I adopted a whole new respect and appreciation with Schiavone after that interview. And now for the past seven weeks, I have religiously listened to his podcast What Happened When Monday with Conrad Thompson. I'm a huge fan of Conrad and the role he plays on Something To Wrestle With Bruce Prichard. In fact, Conrad was a guest on the My 1-2-3 Cents podcast back in August 2016. Listening to Tony each week tell stories from the past from his perspective has only made me respect and appreciate this man even more. Episode 7: The Final Nitro show is especially telling. 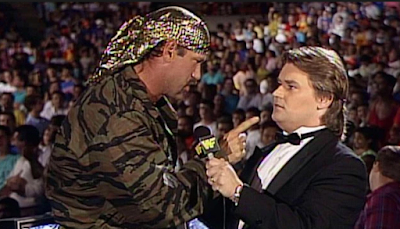 The days of the Monday Night Wars were clearly an emotional time not just for the talent in the ring, but those calling the matches and working behind the scenes too. Fans often forget there are real men and women with families and lives outside the ring. Our fandom sometimes blinds us to that fact. I'm writing this to thank Tony Schiavone for being one of the voices from my childhood. His work was underappreciated by many, myself included. If you haven't already, check out his show on the MLW Radio Network and be sure to stay entertained daily with his tweets (@tonyschiavone24).